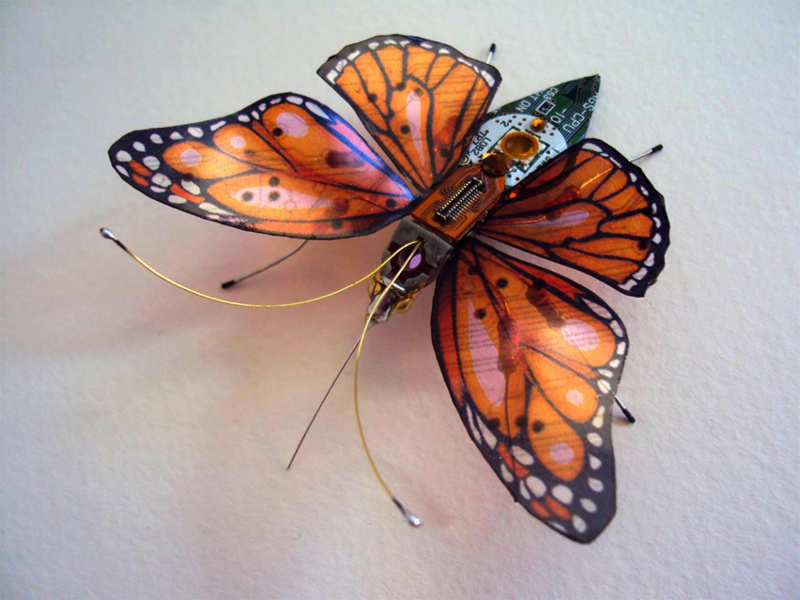 Winged Insects Built from Repurposed Computer Circuit Boards and Video Game Systems #ArtTuesday « Adafruit Industries – Makers, hackers, artists, designers and engineers! 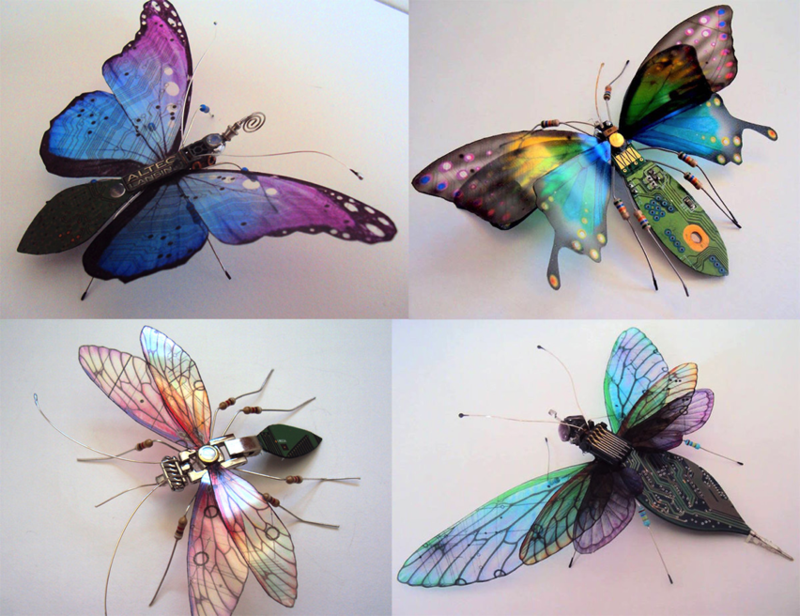 Portsmouth, UK-based artist Julie Alice Chappell works with components salvaged from old computers and video game systems to make an entire taxonomic order of circuit-based insects. 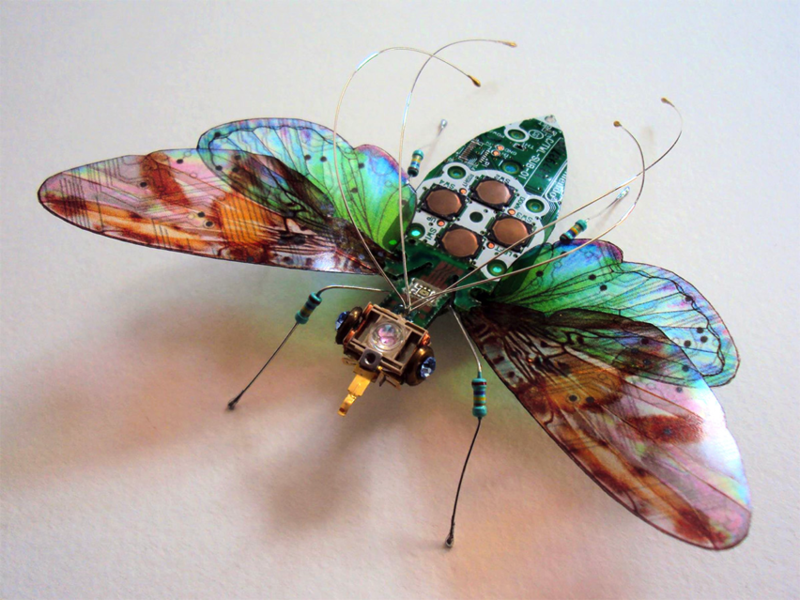 From used Nintendos to DVD players, any device is fair game for her winged assemblages which she sells online via Etsy. You can read a bit more about their origins on My Modern Met.